On September 16th I attended and spoke at a CIO Magazine event in Chicago. These are some of the best events to attend as the audience is typically CIO or senior IT leadership. One of the speakers on the day, Martha Heller, Author of “The CIO Paradox”, presenting on new competencies for the modern CIO, presented a very eye-opening perspective on limitations moving IT forward into a digital age. Clearly the iceberg is IT itself and the waterline represents the separation between what the business can see and touch, e.g. user interfaces, accessibility of data, application performance and IT support, and all the stuff that enables the aforementioned that sits below the water line. If advice by counsel, such as Mrs. Heller, to CIOs is not to expect recognition or compensation for making what happens below the water line work optimally, then it will be very difficult for CIOs to engage and keep personnel that excel in this capacity. To be clear, I’m not saying that Mrs. Heller is telling her clients not to pay attention. She is merely reiterating the paradox that all CIOs must confront as they inherit and deal with the ever growing mess below the water line caused by acquisitions, aging systems, disruptive technologies, aging labor pools leaving the work force, and workers going to companies where they receive better pay and recognition by because they focus on providing below the water line management services, etc. The industry has been telling CIOs for at least three years now that they need to pay attention to what is occurring with DevOps. Yet, many still view DevOps as a deep below the water line activity focused on development and system administration. What they are ignoring is that DevOps may very well be the answer to this paradox that Mrs. Heller puts forth. Leveraging DevOps is not only advisable, but necessary for these leaders to succeed. DevOps has the ability to help lower the water line with the business. As Mrs. Heller reiterates, the business understands costs, headcount, throughput and all the new capabilities that run on top of the iceberg. 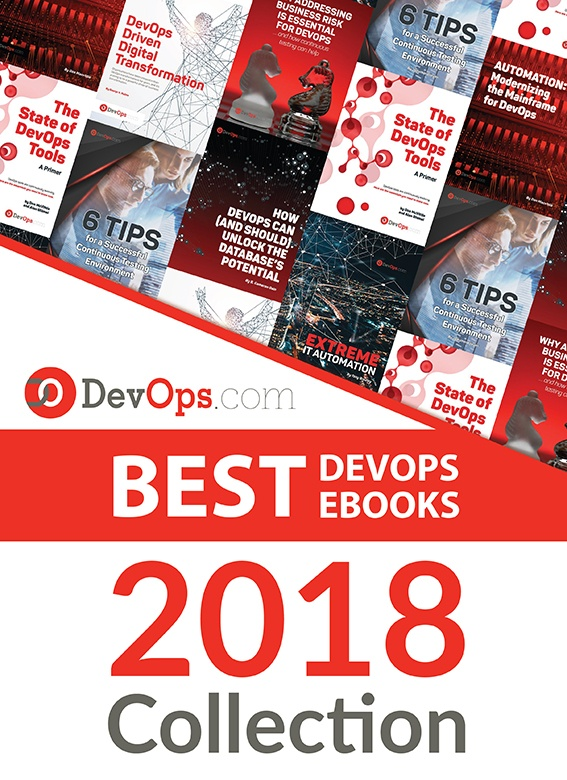 We have concrete evidence that companies that adopt DevOps philosophies and institute continuous delivery capabilities are able to respond to business changes more rapidly and are more profitable than businesses that are hindered in these areas. DevOps typically increases the level of transparency between IT and the business giving them greater input into direction and providing them a wider perspective for how what is below the water line today impacts the very attributes the business cares about. Increased automation associated with continuous delivery opens up greater opportunity for self-service, which again moves more of what is below the water line today to above the water line. Self-service provides more touch points for the business to directly control their own agenda and direction leveraging IT resources. Indeed, there are additional ways that DevOps can help to lower the water line that for readability I will not go into here. Mrs. Heller’s point that attempting to battle the business to gain recognition for what happens below the water line is a losing battle that will tear at the credibility of the CIO that chooses to engage in this battle. However, if CIOs cannot hire and retain the best talent, their ability to stop the iceberg from growing below the water line will continue to diminish. Their only hope is get the water line to drop and expose more of the iceberg. The more of the iceberg that gets exposed the more opportunity the CIO has to obtain recognition and compensation for his/her team. So, Mr./Mrs. CIO, is DevOps important to you now?